A reader, Darth Sillious from From A Certain Point of View, asked about omelettes, so here I show you how I make mine. I like eating eggs for breakfast. What type, exactly, depends on my mood. Sometimes I feel like a sunny-side up, or microwaved atop a baked potato, poached with runny yolks, hardboiled, or softly scrambled eggs. When I want a "full meal" egg dish, I opt for an omelette. 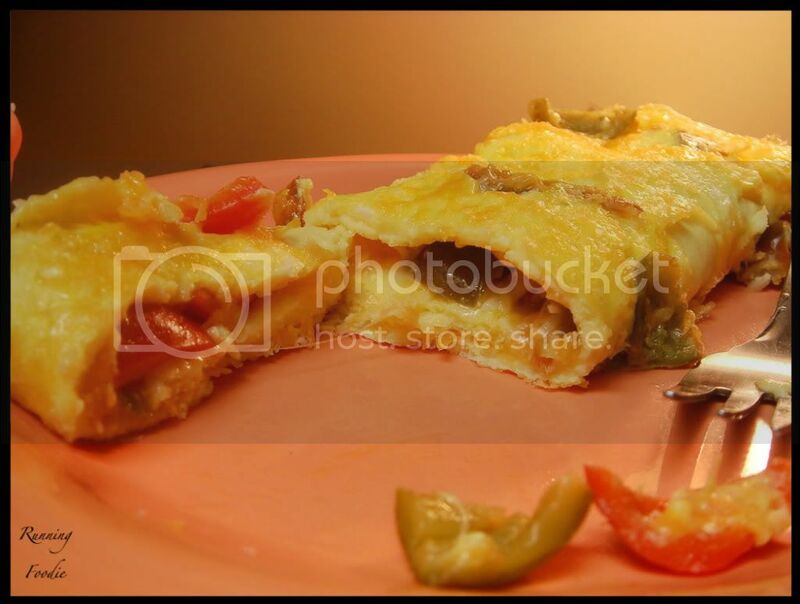 I suppose an omelette is a fancier version of scrambled eggs, but something about the slightly soft layers of eggs with cheese and fillings in between is really a great mix. 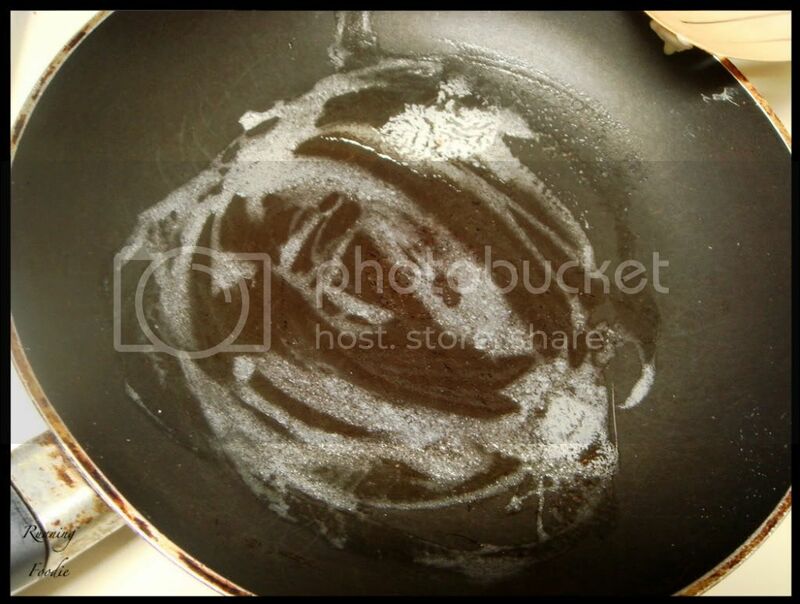 There are different methods for making omelettes, but here is the method I learned from my mom. First, you beat the eggs (I used 2) for at least thirty seconds, or until really frothy and well-mixed. 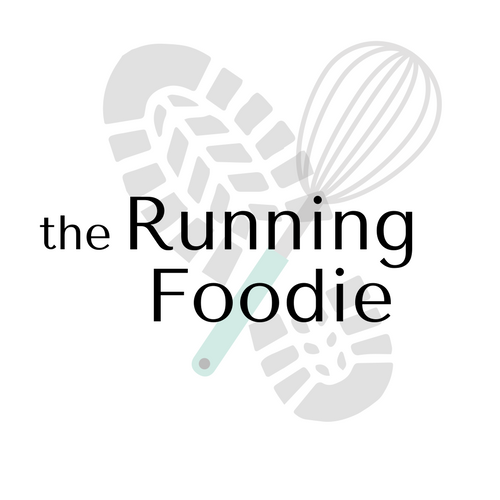 Next, you want to make sure all your ingredients are assembled so you aren't scrambling (ha ha) around at the last minute. My bro tipped me off to using pickled cherry peppers in scrambled eggs, which I tried and liked, so I decided to use them for my omelette. (The mild tanginess pairs really well with the creamy eggs.) These have been seeded (mostly) and sliced. The other two are cheese and kosher salt. 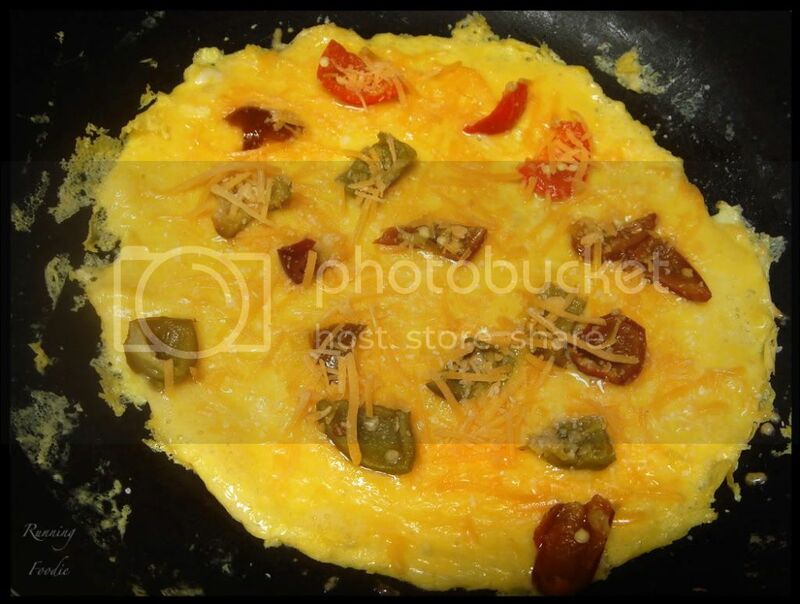 However much cheese you want to use, fine, but not so much that you have a greasy omelette. Promise? 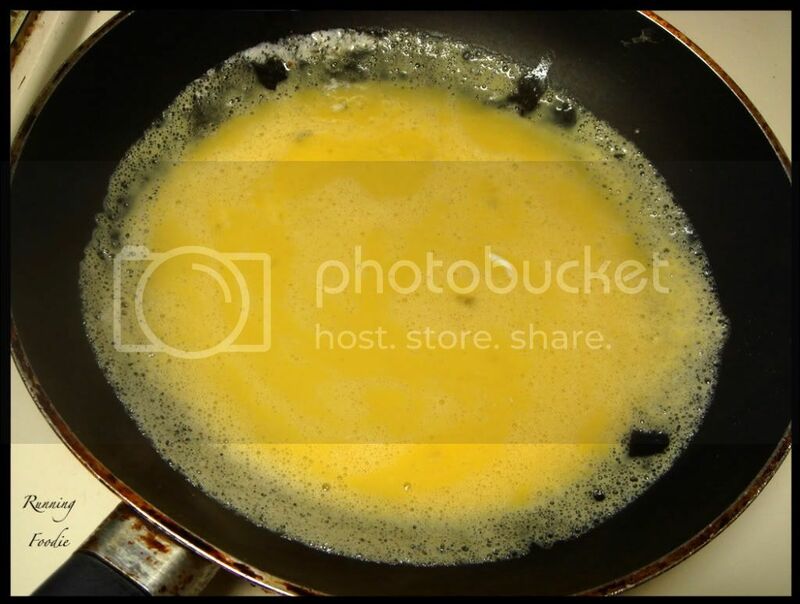 Melt about half a tablespoon of butter in the skillet, the temperatureshould be right above medium heat to heat up. You don't want craptons of butter, but you do need enough to keep the omelette from sticking. You could also use olive oil or cooking spray. 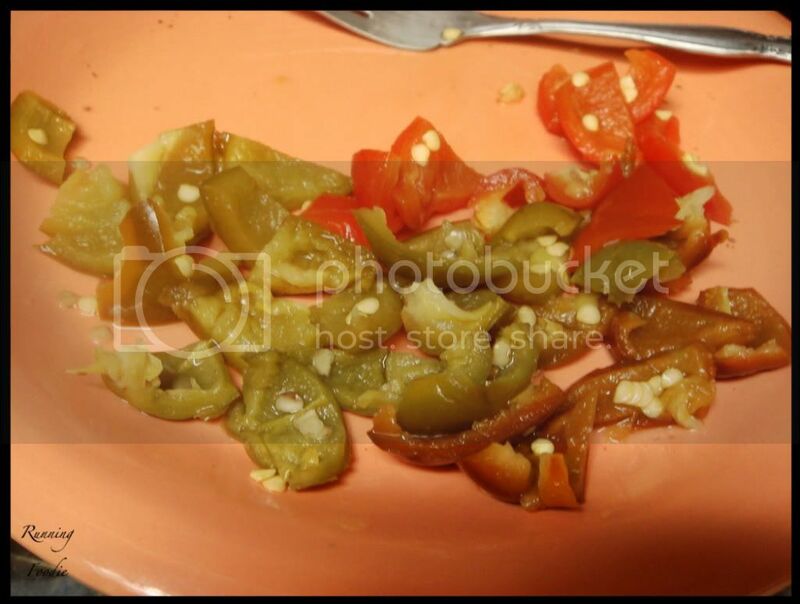 If you want actual sautéed vegetables, dice about three tablespoons of whatever vegetables and sauté, then place in a small bowl, then sauté just chopped vegetables for the omelette filling and place in another bowl. 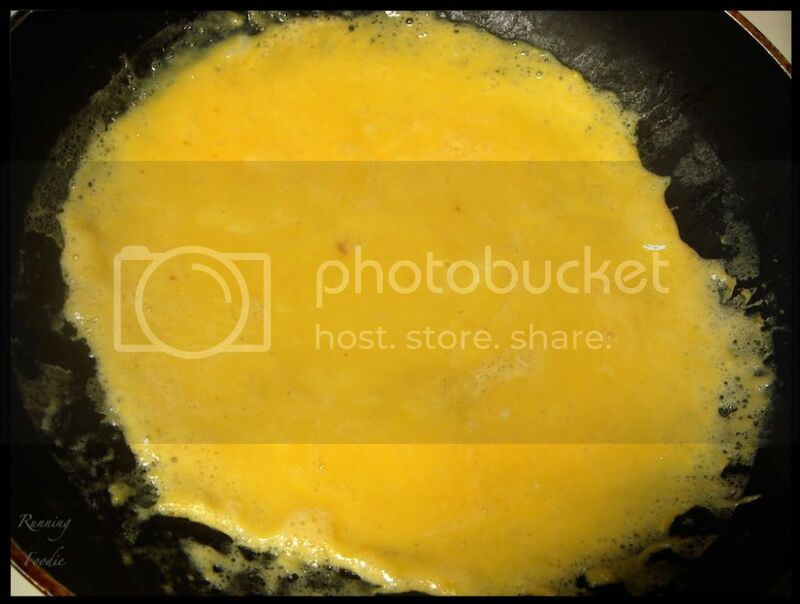 Once the skillet is heated (put the palm of your hand over the skillet and it should feel hot, not warm), pour in the eggs and turn the heat to medium. In the case that you jumped the gun and the skillet isn't heated completely, just lower the heat to just under medium so the omelette won't over-brown, then adjust the temperature to medium once the omelette begins to set. 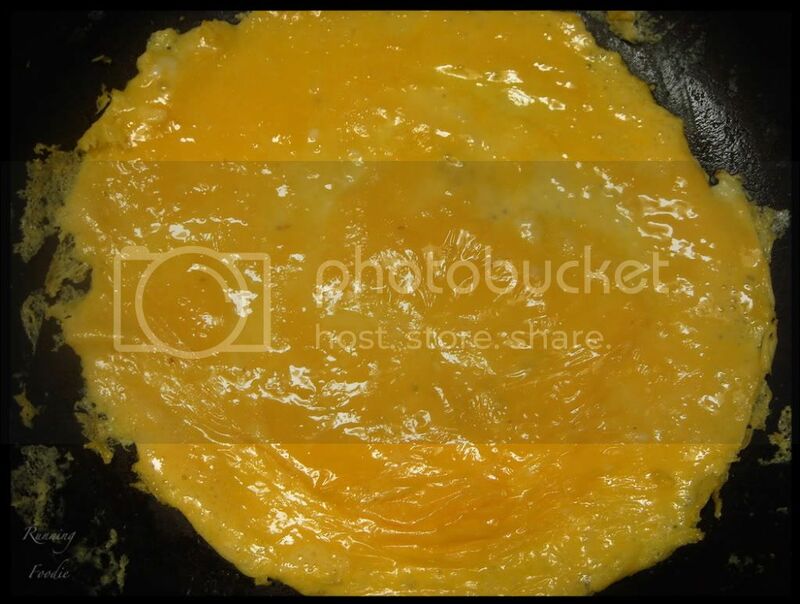 As the omelette cooks, keep twirling the eggs around to redistribute and push in the edges a bit with a spatula. 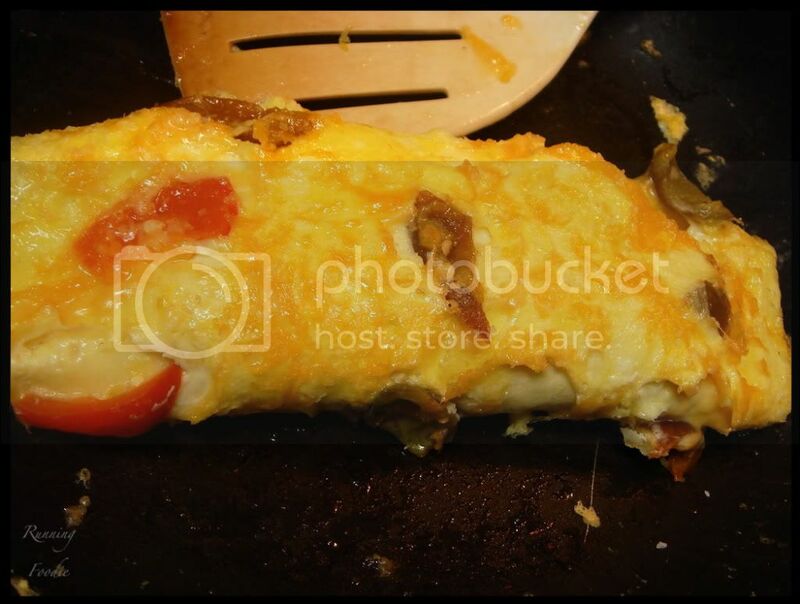 As you can see from this picture, the omelette is still quite runny, though it has begun to take shape. The stage you are looking for to add the toppings (or diced vegetables) is a slightly runny and slightly set top that will jiggle if you shake the skillet. Sprinkle the toppings, then a bit of the cheese, and however much salt you want (and pepper; I just didn't use any this time). 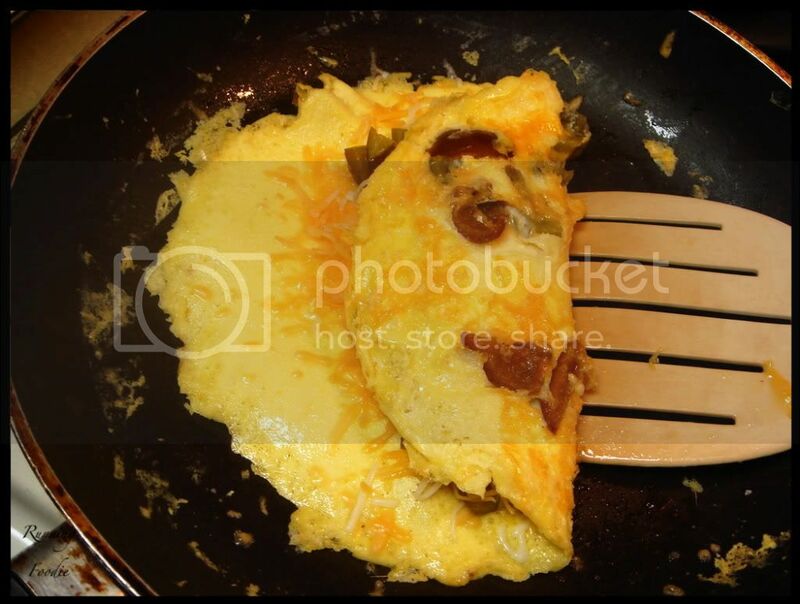 Slide your thin spatula underneath, and in one fell swoop flip the omelette over. 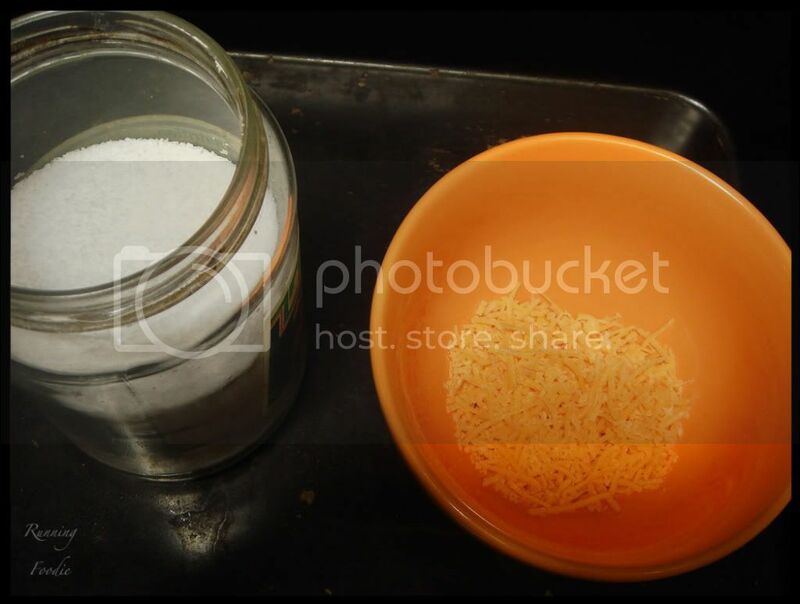 Sprinkle on the cheese, then the fillings, then a bit more cheese if you didn't put enough on the bottom. Fold one side in to the center, then fold that side over to close the omelette. If you need help to create a tight fold, place your fingers in the center to hold down the middle. There you have an omelette! If you want to up the impressive factor, drizzle the top with chili oil or any other flavored oil. Now get practicing and impress your family and friends by hosting an omelette dinner. Ohhh! 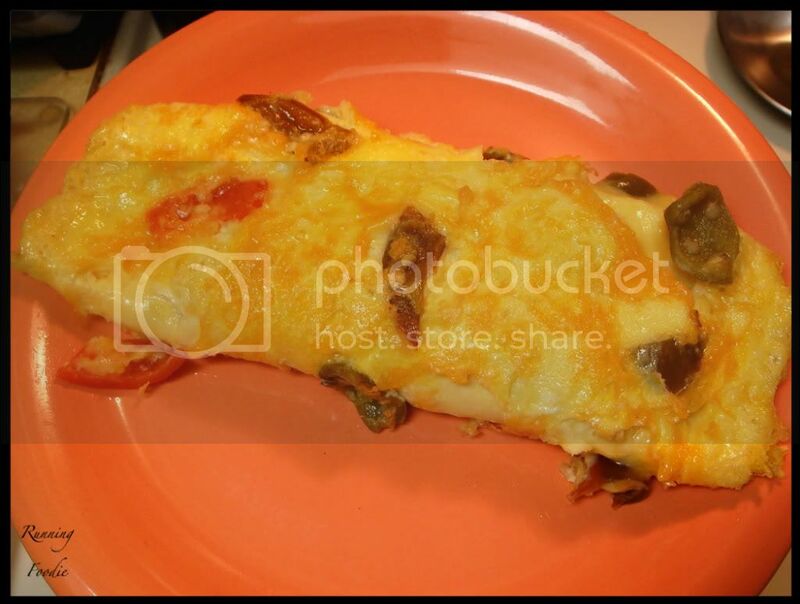 I didn't know that you had to put some of the filling on the bottom of the omelet first. That's a great idea. My only real problem is my flippage skills. Gotta work on that one. 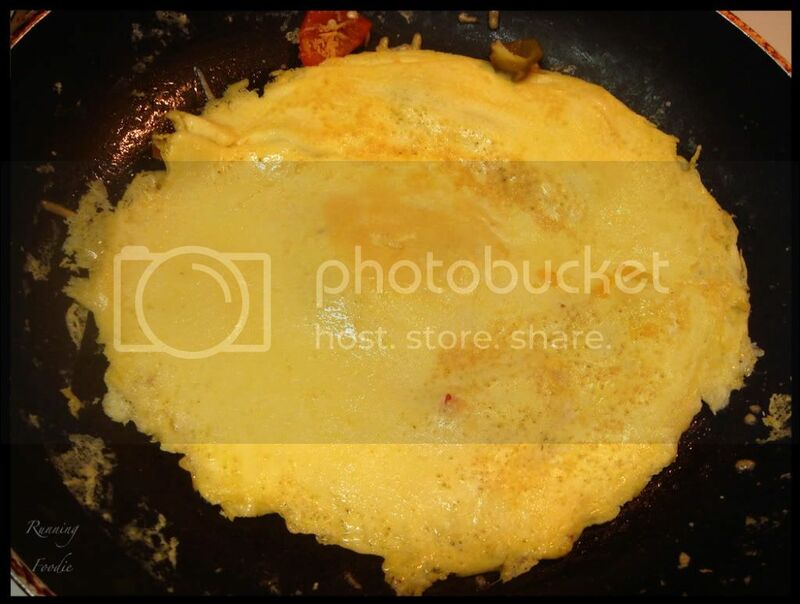 The omelet looks great! I am a Japanese. I send this site in search of joy to meet you from Japan. It is a Japanese site to understand it in various ways, but I feel joy about the encounter with you. Looks like a tasty omelette. I love the pickled cherry pepper idea. I usually add either milk, or water to my eggs when beating them to make them even fluffier. 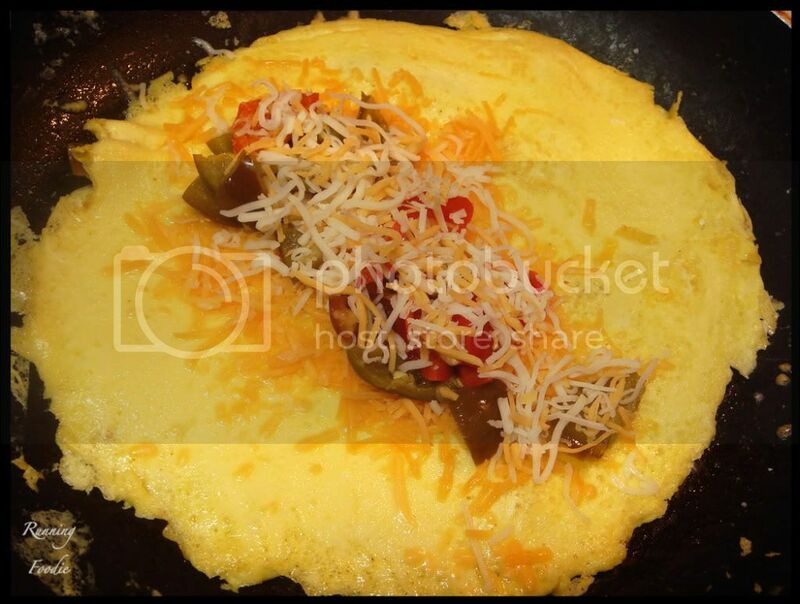 I love omelets, but my recent fixation has been frittatas that you start on the stove and finish in the oven! 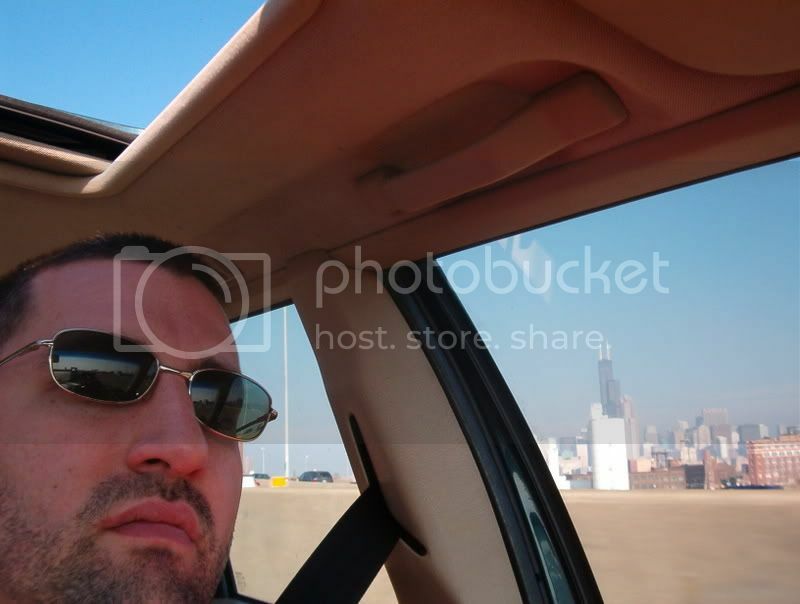 Tres Magnifique! I also love the idea of drizzling the omelet with chili oil. That is great! I actually have some in my cupboard right now. I also use milk to help fluff up the eggs a bit. Interesting idea about having some of the toppings on the outside though, I'll have to try it one of these days. 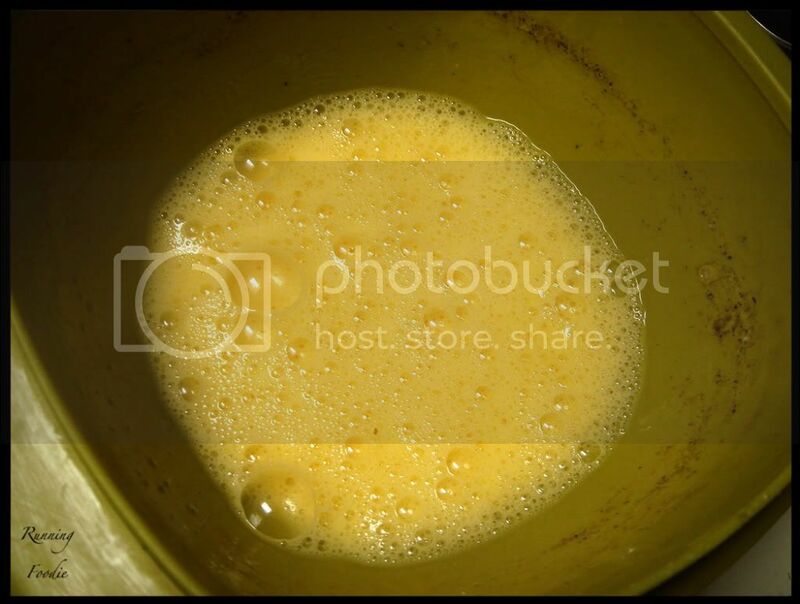 Also, when making scrambled eggs, I add in some maple syrup (pure, not that other crap) or orange juice, good stuff.